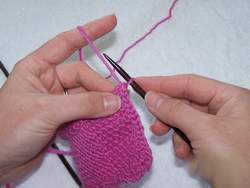 So you learned how to knit, you learned how to purl and now you want to know how to bind off. Well, you have come to the right place. 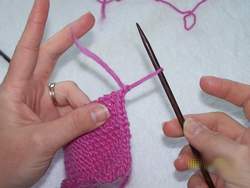 Here, you will find FREE and EASY instructions with pictures on how to execute the basic bind off. 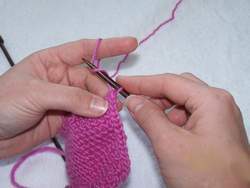 In knitting, after you have finished using the stitches for your purse or bag you need to bind them off so they are no longer "live". 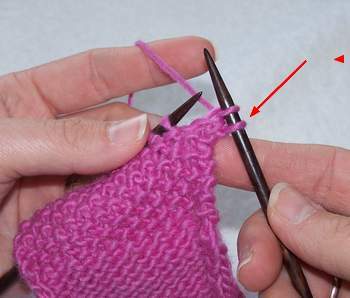 Binding off (sometimes called casting off) is when you link the stitches together to stop them from unraveling. 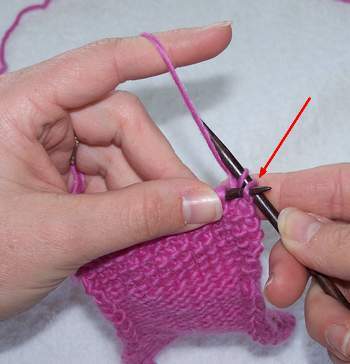 The following bind off is the EASIEST bind off. 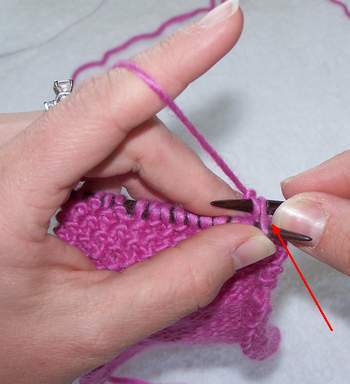 Insert the tip of the left hand needle into the front of the first stitch on the right hand needle. Lift this stitch over the second stitch and off the needle. 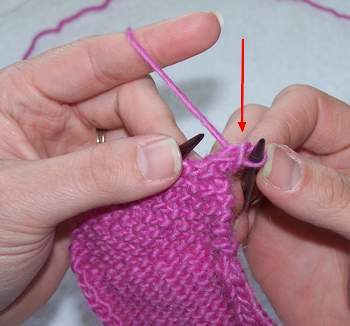 Now, you are left with one stitch left on the right hand needle. Knit the next stitch from the left hand needle. Then repeat from step 2 until all the stitches from the left hand needle have been bound off. You are left with one stitch on your right hand needle. Yarn over the right hand needle. Then lift the last stitch on the needle over the newly created yarn over. Cut the yarn from the working yarn being sure to leave at least a 5 inch tail. 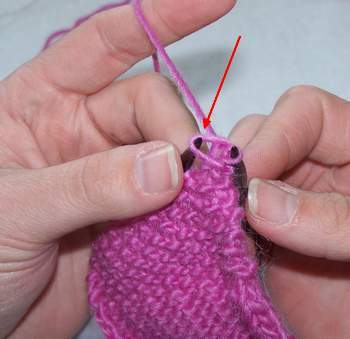 Then pull the last loop through the stitch. Lastly, pull the yarn snuggly. Congratulations, you just did a complete bind off! All you do now is weave in the tail in the back of your work and voila, you are done! Little Tip: It is important that your bind (cast) off is not too tight. Anything that pulls at the knitted fabric is too tight and should be redone. 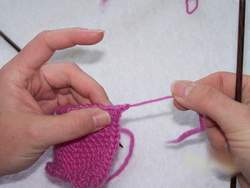 A quick and easy way to make sure you don't bind off too tightly is to use a needle one or two sizes bigger in your right hand than you used on the knitted fabric. Now that you know how to knit and you know how to purl and you know how to bind off you should go check out how to crochet bind off! Then, you will be well equipped to ready to begin a purse or a bag!